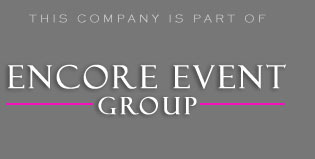 Encore Party DJs has Michigan’s best DJs available for any size event (big or small). The main goal is to keep you the client happy. Whether it is making sure your dance floor stays packed, sticking to your request list, or handling all your important announcements; Encore has you covered. Events are as important to us as they are to you. So we work closely with all our clients to make sure there are no surprises. To get the correct information we give you online planning tools to seamlessly organize every detail. No matter how small, we will go over everything in detail the week of your event. Besides the itinerary info, our team of talented DJs give you other fun options other companies can not offer. We want your guests to feel comfortable with making requests. So besides breaking the ice with them at the event, we also get to know them before your party. With our unique Pick n Play system, your family and friends can log onto our website from the convenience of their home and drag and drop songs into a request list. We build a lot of psychology into our events, and this is one of the reasons you see great photos on our website. Keep in mind that you have the ultimate control. You can also create a Do Not Play list for songs you feel do not make the cut. What would be a party without an AMAZING light show? In addition to everything we mentioned above, you are also given a computer light show that will compliment your dance floor. Our complimentary lighting package is a courtesy for booking with our company. Other companies might charge you extra for the same service. We also have custom lighting solutions that you can bundle with your package. To get a better idea of how Encore can transform your event visit our lighting design page at the link above. A recent trend for events are photo booths. They are a blast, and guests will give you compliments on the creative favor. Photo booths do multiple things for you. Besides generating a keepsake for the guests, you can have a scrapbook made on-site by our friendly photo booth specialist. 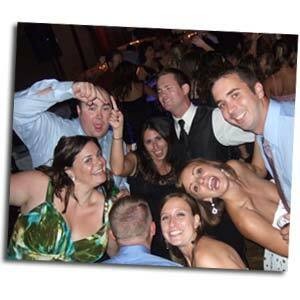 Enjoy all the benefits you should expect from a reputable photo booth company. These services include touch screen monitor, color or black and white prints, spacious 15 person capacity, 6 second print times, custom design layout, USB stick with photos, online gallery, and color changing exterior. To learn more about our caption worthy photo booths visit this link here. We here at Encore take pride in saving clients time and money. Our bundled packages give you piece of mind knowing all your important event elements are in safe hands. Over the years, we have celebrated with thousands of clients who are planning their event just like you. Let us help you create a personalized experience by calling us toll free @ 877.643.8368. We guarantee that at the end of the night we will become family. We look forward to giving you and your guests the ultimate entertainment experience.